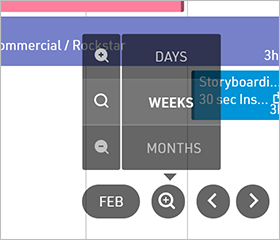 Scheduling tasks for your team is a breeze with our award-winning click and drag schedule view. 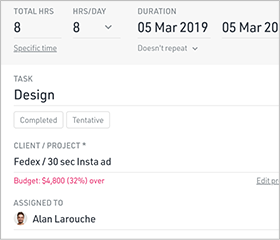 The schedule view gives your team a clear picture of who’s working on what. Zoom in for a detailed day view or zoom out to view a 12-week forecast. To assign a task to a person, click and drag in the schedule area, select a project, and confirm the dates. 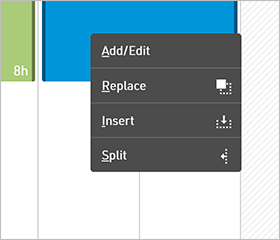 Use the right-click tools to replace, insert, and split tasks. Duplicate tasks by holding Shift as you drag them. Expand or contract tasks by dragging their edges. Multiple people can schedule at the same time. 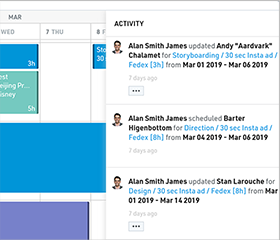 Live updates to the activity feed ensure you and your team are always seeing the latest changes. 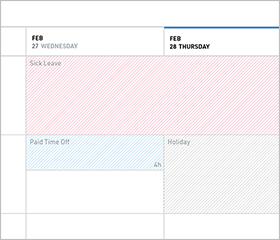 Track your team's paid time off and sick leave, schedule holidays when your office is closed, and hide weekends from the schedule view if they're not needed. Search and sorting features give you the flexibility to view the people and projects you need to. 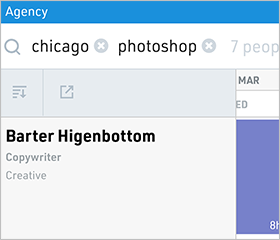 Sort by availability, filter by skills, drill down to departments or clients, and save your favorite searches for later. I did months of comparison before I made a decision. It’s streamlined interface and ease of use made the difference. Deliver your team their personal schedules. The latest tasks, times, and notes are viewable at any time on any device. Email the most recent schedule updates from the Share tab, or set them to send automatically at the start of the working week. A series of interviews with the founders of successful & independent creative agencies. Scheduling since 2012. Copyright (C) 2019. All rights reserved.